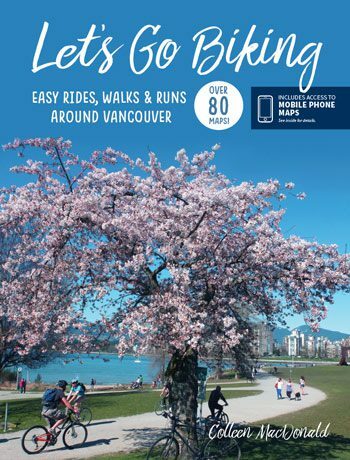 Othello Quintette Tunnels – Let's Go Biking! 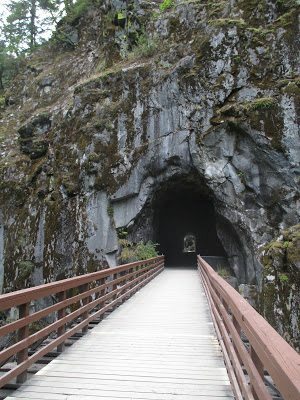 Othello Quintette Tunnels – Let's Go Biking! 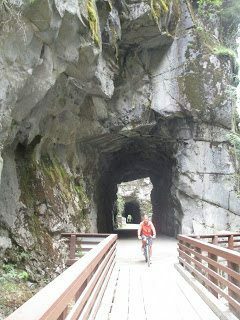 For a dramatic ride, check out the Othello Quintette tunnels in Coquihalla Canyon Provincial Park. 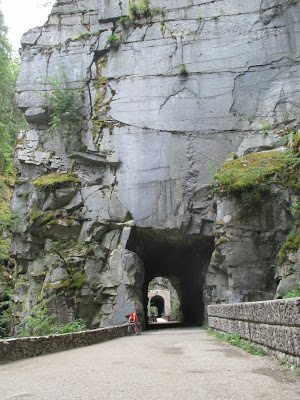 Located just east of Hope BC are some of the best preserved tunnels on the old Kettle Valley Railway and a short bike ride along the old rail bed. The tunnels are open only in the summer months from dawn to dusk, so check before going to see if you will be able to ride this route. 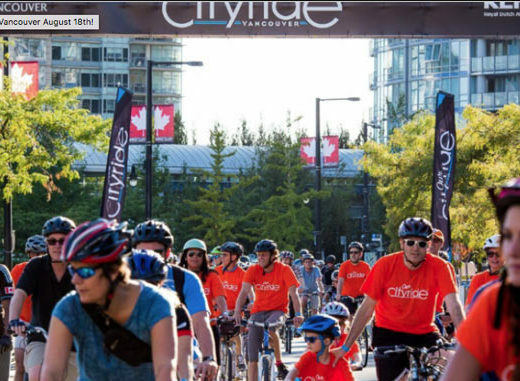 You must have headlights on your bike or headlamps as the tunnels are very dark and you will need to walk your bike through them. The trail heading west from the last tunnel is an easy ride along the railbed with views of the river below. 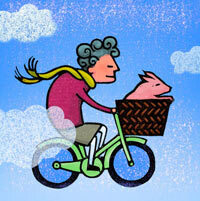 It’s 5.3km each way which makes a short 10.6km out and back ride. The Kettle Valley Railway runs through the interior of BC. Along the Coquihalla river engineer Andrew McCullough built this line of tunnels and trestles. He was an avid reader of Shakespeare and named stations along the route Lear, Jessica, Portia, Iago, Romeo and Juliet. 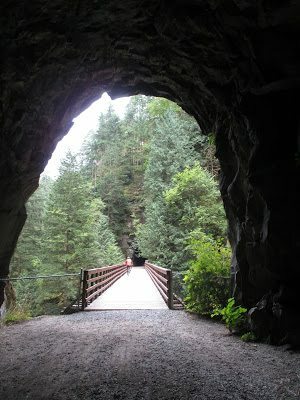 The tunnels were part of the blockbuster movie Rambo with Sylvester Stallone. 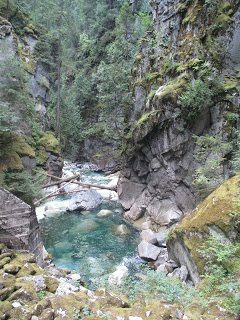 Cue Sheet: Park/start at the Coquihalla Canyon Provincial Park lot and follow the signs to the tunnel. 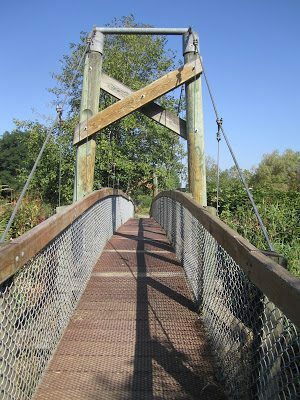 If you want to extend this ride, continue west on Kettle Valley Road along the TCT-TransCanada Trail through Thacker Park and into the town of Hope. 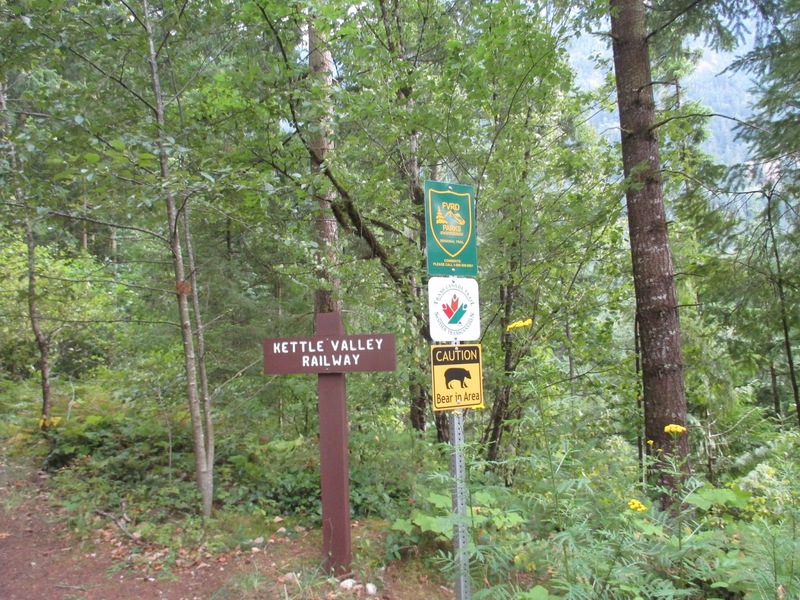 Alternate Start Point: At Kawkawa Lake Road turn south on Kettle Valley Road and start the ride at the west end of the old railbed – near the yellow gate.